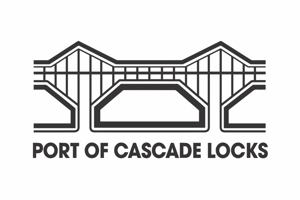 The Columbia Gorge Racing Association is pleased to welcome the 2016 Laser North American Championships to Cascade Locks, Oregon. This regatta is open to all boats of the Laser class including Standard, Radial, and 4.7 rigs. We look forward to seeing you in the Gorge this summer! Payments on site are best made with cash or check. Monday and Tuesday limited CGRA lot parking, best for unloading only. Tuesday P.M. – Sunday: CGRA lot closed to car parking. Unloading only in grass parking area. Regatta Notices & News: go to the event website (here!) for official notices, news and results. Visitor Information: go to the CGRA Visitor Information page for maps, weather, restaurants and lodging, and other tourism info (and check out the tips on local knowledge by Jonathan McKee). Social Networking: go to the CGRA Facebook page for up-to-the-minute postings, photos, and messages. Wednesday: Welcome reception and BBQ at 6 pm in the West Pavilion Tent, featuring a hosted keg and special presentation by the International Sailing Academy. One ticket is included with event registration. Purchase additional Welcome Dinner tickets on the event storefront page. 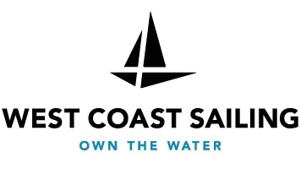 Thursday: Refreshments by CGRA and no-host pizza by Hood River’s Solstice Woodfire Mobile Pizza in the boat park after sailing, then on to Thunder Island Brewing at the west end of the Marine Park for no-host bar and live music with a spectacular view of sunset over the river. Friday: Après sailing refreshments on the beach, then dinner on your own. Saturday: Traditional Northwest salmon feast at 6 pm in the West Pavilion Tent. One ticket included with event registration. Purchase additional Regatta Dinner tickets on the event storefront page. Sunday: Après sailing refreshments in the boat park, followed by the awards ceremony. As those of you who’ve attended past CGRA events know, our beach parking and launching area is a bit constrained. So beginning Monday, July 18th, this area will be used exclusively for boat storage (no parking). All car and trailer parking for the event will be in the grass parking lot just west of the Visitors Center. 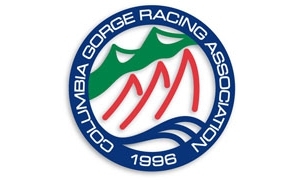 All cars must display a parking pass and all trailers over 10’ must have a trailer tag ($5/day, available online at the Regatta Network event storefront or onsite at the CGRA Race Office). Important: Do not park in the Sternwheeler parking lot in front of the Visitors Center (it makes them very cranky! ).